Although Boots No7 may be relatively new to American consumers, the skincare brand is as much of a British icon as tea and wellies. The brand was launched in 1935 by Boots, a large British drugstore chain with the aim of providing affordable but effective skincare. When No7 debuted, its slogan was “The modern way to loveliness” and the product line was streamlined. It only included cream and foundation. Since its launch in 1935, the brand has continuously evolved and expanded its product range. In 1952 Boots No7 relaunched with the tagline “Better and lovelier than before” and the company began to include more cosmetics and skincare. Boots No7 was considered to be an affordable and a dependable drugstore staple but not particularly exciting. That all started to change in 2003 with the debut of its Protect & Perfect line of anti-aging products. What Is Boots No7 Protect & Perfect Serum? It’s hard to beat a positive review from the BBC, but after the documentary aired, the University of Manchester carried out a year-long independent study to evaluate its efficacy against a prescription retinol. Their conclusion? The Boots serum help to repair damage caused by the skin and found improvement in the depth of fine wrinkles. Professor Chris Griffiths of Manchester University, which conducted the trial, told the press, “At both basic science and clinical levels Boots No7 Protect and Perfect has been shown to repair photo-aged skin and improve the fine wrinkles associated with photo-ageing.” Professor Griffiths’s study was published in the British Journal of Dermatology and the Journal of Investigative Dermatology. What Are the Ingredients in Boots No7 Protect & Perfect Serum? The newest formula, Boots No7 Protect & Perfect Intense ADVANCED Serum, contains a blend of vitamin C, silicone and ginseng, as well as a vitamin A derivative, retinyl palmitate. Rounding out the mix are white mulberry extract (an antioxidant), peptides and salicylic acid. Rice peptide and alfalfa complex are meant to maintain the levels of collagen and fibrillin in the skin. Boots says its key ingredient is Matrixyl 3000 Plus, an anti-aging peptide which is meant to boost collagen production and promote skin cell turnover. How Soon Can I See Results With Boots No7 Protect & Perfect? According to Boots, after two weeks of use skin looks younger and by four weeks deep lines and wrinkles are visibly reduced. Continued use of the product is key. Any product has the potential to cause irritation or trigger an allergic reaction. Before incorporating a new product into your skincare routine, it’s always important to patch test. The ingredients that make Boots No7 effective (mainly the vitamin A derived retinol) are also what can cause irritation, as retinols have the potential to cause dryness, flaking, redness and peeling of the skin. It can also make the skin more sensitive, and using a sunblock with a high SPF is a must when using any kind of retinol product. Anyone with dry skin may also experience redness and inflammation from retinol based products. What other products are in the Boots No7 Line? Today Boots No7 offers a comprehensive line of makeup and skincare products. The skincare line includes cleansers, moisturizers, serums and masks, as well as targeted treatments to tackle dark spots and under-eye circles. The No7 brand also includes a mix of preventive care products and treatment. The Early Defense line is aimed at people age 25-35, while the Protect & Perfect line is designed for those who are 30-45. Restore and Renew is meant for age 60+. Other popular items in the Protect & Perfect line include Laboratories Line Correcting Booster Serum. Boots says the product contains seven times more Matrixyl 3000 Plus than the brand’s other clinically proven serums, and is meant to be applied before a serum. Also in the range is an eye cream, Early Defence Serum which is designed to encourage cell turnover and reduce the appearance of fine lines. The No7 makeup line is equally comprehensive, featuring primers, foundation, lipsticks and mascara. There’s also a line made for men, which includes a face wash, scrub, moisturizer and serum. Where Can I Buy Boots No7? In the US, Boots No 7 is available at mass market retailers such as Target and Walgreens, and the beauty giant Ulta. Online it is sold on Amazon. What is the Boots No7 Return Policy? In the US, Boots No7 does not have a retail website (its own website transfers purchases to Walgreens.com). Each retailer has its own return policy. Walgreens states that items may be returned to any of our stores within 30 days of purchase for exchange or refund. Target’s return policy extends to 90 days. How Much Is Boots No7? Boots No7 is reasonably priced, as you would expect from a drugstore brand that is also found in mass market retailers. The serums are among the brand’s priciest products. Protect & Perfect Intense ADVANCED Serum is $39.99 and Lift & Luminate TRIPLE ACTION Serum is $43.99. Jars of day and night creams are priced around $14-24, while masks and exfoliators are about $10-14. Makeup prices are compatible to other brands found in drugstores. Lift & Luminate TRIPLE ACTION Serum foundation retails for $14.99. Boots No7 may not be right for everyone, depending on your skin type and how it reacts to a particular product. The powerhouse ingredient in Boots No7 Protect & Perfect Serum is a vitamin A derivative, known as retinol, which is one of the most effective ingredients when it comes to fighting the signs of anti-aging. 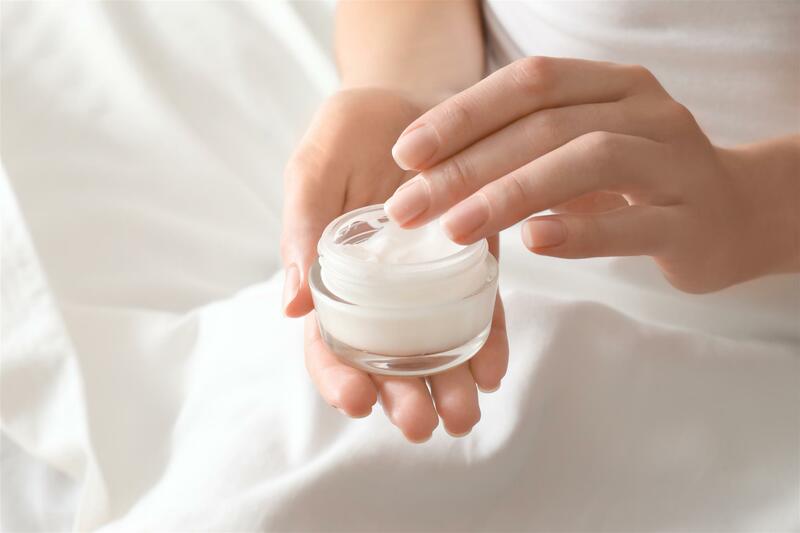 Retinols can be found in many skincare products but in varying amounts. Skin irritation and dryness is common when using a retinol. Some brands tackle this by adding plenty of skin soothing ingredients to their products to offset any potential dryness. 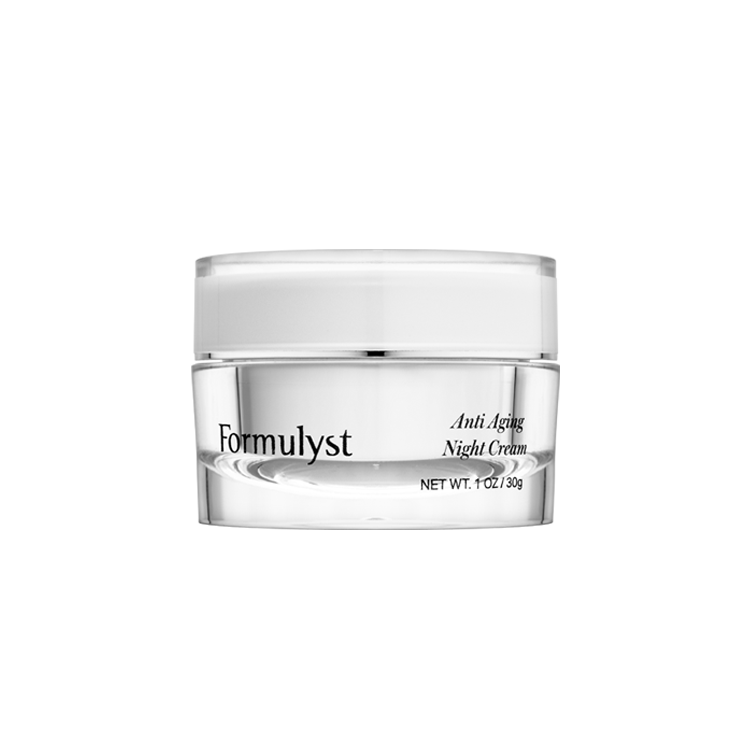 Formulyst’s Anti-Aging Night Cream contains the gold-standard of wrinkle fighters – retinol—to helps tackle fine lines, crow’s feet as well as dark spots. What makes this formula different is that it contains a high dose of retinol as well as ultra-soothing and hydrating safflower seed oil and jojoba, which lock moisture in and help minimize any potential irritation. Formulyst takes a multi-prong approach to skincare. Other products which can help tackle the signs of aging include Formulyst Active Serum which contains a cocktail of vitamins B, C, E, Ferulic + Niacinamide to help skin look smooth, glowing and healthy. The powerful blend helps fight damage from free radicals and also tackles hyperpigmentation and leaves skin looking smooth and hydrated. Another option is Formulyst Anti-Wrinkle Peptide Serum. Peptides work by signaling skin cells to produce more collagen, which helps to leave skin looking and feeling smooth and firm. Formulyst Anti-Wrinkle Peptide Serum is packed with six different types of peptides to help rejuvenate skin and smooth the appearance of fine lines and wrinkles. 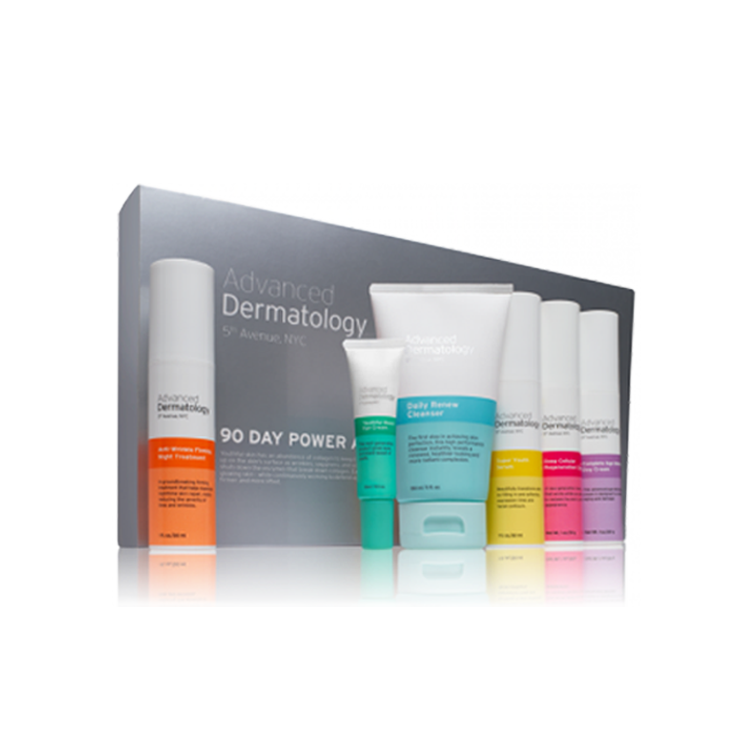 If you don’t have the time or inclination to build a skincare regimen, consider Advanced Dermatology. The company sells a complete skin care kit to addresses aging concerns. It can be used by men and women in their 20s up to age 60 and beyond. The system includes cleanser, serum, anti-wrinkle treatment, moisturizer, day cream and eye cream- in other words, everything you need for glowing, beautiful, healthy skin. I started using no 7 a week ago. I can feel and see the difference. I too lost my parents and started aging rapidly. Last year I lost my brother. Loss makes you age. I am sorry for your loss and hope these products work for you to see less signs of age. Have been using number 7 Protect & perfect for several years also the makeup I love the product. Just started using the new wrinkle lift love that too. 75 years old and have been told I don’t even look 60. My skin is wonderful. I’ve been using No 7 Lift and luminate Triple Action Serum and Night Cream for several years. It has helped to firm my skin and leaves it soft and smooth. From a senior, this is saying something. I have sensitive skin and have had no adverse reaction. My parents passed away last year,and I aged so much so quickly. I’ve been using the serum and the targeted wrinkle serum. Wow! What a difference. I’m one happy customer. Thank you so much for creating such great products. I purchased the Serum yesterday and so far so good. Will continue hoping to see results. My biggest concern with other products in this skin care line is the use of fragrance. Will be returning the Gel Cleanser because of fragrance. I tested the daily face cream in the store unable to use because of fragrance. Have you thought about a line for +60 that is unfragranced? It makes orange peel skin plump-up and become smooth. I recently saw my two sisters after a few years and they couldn’t believe my skin. Also great compliments during my facial. Most effect products I have ever used!!!! I wish I had read these reviews before I bought Restore & Renew neck cream. I have been having problems with cold sores ever since I started with this product! I never for a minute thought that the cause might be my new neck cream I was using. Also I want to add the fragrance in this cream is overpowering…..why oh why with so many people reacting to fragrance do they still insist on adding so much scent?? You can be sure this cream is going in the garbage and not fast enough. I will never buy No 7 product again even with all the good results some people get. No 7 products are fantastic! The absolute best product is the Serum. I am 67 and it has taken away the lines above my nose and beside my eyes. It makes orange peel skin plump-up and become smooth. I recently saw my two sisters after a few years and they couldn’t believe my skin. Also great compliments during my facial. Most effect products I have ever used!!!! I am very happy with the various #7 products that I have purchased. I have seen an improvement with my skin. However, the #7 oil free eye makeup remover does not work at taking off mascara. I purchased Restore & Renew serum, night cream, and eye cream. YES, it’s like putting perfume on your face!! Products have a strong perfume-like scent!! I could only use products for 2 days. My skin turned red and felt like it was burning. My eyes watered slightly and felt uncomfortable. They claim this line is hypoallergenic, so I thought it’d be unscented. I’m now questioning this claim, and have found conflicting info. online about this claim. Now looked up reviews (too late) and see some women, like me, also had burning. Some got sores. Everything’s in the garbage. Have been happily using No7 lift & Luminate day cream and restore & renew night cream as I need something richer overnight. Was thrilled with the results over a few months so decided to try the restore & renew serum. But then got more sore red raised patches on my neck & chest then on my nose, around my eyes & forehed. But I still didn’t suspect the serum as I’d got on fine with other No7 product. My doctor prescribed steroid cream but this had no effect as I was still (foolishly) using the serum thinking it might help!!!!!! I finally started researching reviews of all my current skin care products and was appalled to discover many other women have suffered the same severe skin reaction from using the restore and renew serum. So this is my second day without any No7 products on my face and I can already see the redness is starting to subside, although the raised red welts on my next & chest will take longer to heal I suspect. The same thing happened to me just a few days ago. I had purchased a tube of No. 7 Lift and Luminate Triple Action Serum a few months ago, then misplaced the tube and found it again last week. I tried applying it on my face and within an hour I had red, inflamed, burning blotches all over my face. This is day three and my face still burns and I can see some skin peeling. I had to put ice packs on my face the first night just to relieve the pain. This morning I woke up and the cracking at both the corrners of my mouth had bled overnight. Healing from this is apparently a slow process. I tried calling Boots’ US office and had to leave a VM because they were closed. I have been using No 7 day and night cream since 2012. Restore & Renew Day cream (with SPF15) and the matching Night Cream as well as the Lift & Luminate for Day and Night. I am 71 and have good skin, except for the lines around my mouth. I love, love these products. The products make my skin glow … and the cream has tightened the skin noticeably. This review is meant to tell you that I have experienced the loss of 3 moles which over time melted away. I had one large mole next to my eye, hidden by my eyeglasses, but it was growing larger and was itchy. Over the course of a few months, it came off in a washcloth. The second one did the same. So, with one more on my shoulder, I thought I would try creaming twice a day (day and night cream) … just a little drop of cream and after a couple of months it lifted off. This was 3 times No 7 successfully removed an an ugly mole. I was thrilled as all of these were causing issue and now them are completely gone. I am still amazed that this cream was able to lift these rough brown moles and at the same time is the best cream I have ever used. I am shocked so many customers are having issues with the cream(s) as I have very sensitive skin and have not experienced any problems. Horrendous allergic reaction to Boots No 7 serum. I have NEVER had an allergic reaction to anything in my life, and certainly never a beauty product. I have used Boots No 7 face creams with no problems for years. I now have Weeping, scaly skin, soooo sore, swollen eyelids. I have had to take Piriton. What the heck is in this serum? I’m 69 and nobody believes it. I love No. 7! I received good skin through heredity, but No. 7 definitely helps. I would recommend it to anyone! I’m 52 and purchased the lift & lumenate eye cream. Using for several weeks now and do not see any improvement. Actually seeing more wrinkles under my eyes. I also purchased the kit with the serum/day/night creams. Nothing but have been noticing more acne since using this product. I will be returning for a full refund. Once again a victim of false advertising. I started using Boots No 7 protect and perfect intense advanced night cream. I woke up yesterday with a red itchy breakout around and on my nose. Really upset and disappointed and hope this clears up soon. Exactly…it’s like putting cologne on your face. The scent burnt my eyes, I was so disappointed. Will you please come out with an unscented line? Why is there perfume in No. 7 day and night cream. I’ve always heard from dermatologist that perfume dries your skin. I don’t mind the eye and serum but will be using the facial cream on my feet. Yeah my feet. Same here I love No 7 and I have very sensitive skin ! Cannot believe the bad reviews !! I wouldn’t trade it for any of those pricey products and I’ve tried them all !! I’m 54 and my son is 26 and no one believes I’m his mother !! Everyone says I’m too young to have a son that’s 26 yrs old ! I’ve always used Dove soap only on my face and Oil of Olay, but since I’ve tried No 7 I’m totally sticking with it !!! I tried to rate it 5 star but couldn’t get it to change ,for me it is definitely 5 star plus!!! I saw many shows on Dr. Phil about this product. I decided to try one thing to see how well it worked. I purchased the Instant Illusion Wrinkle Filler for $20.00. Very disappointing to say the least. Does not do anything. Feels just like a moisturizer. I feel robbed. I won’t be purchasing anymore products. Oh my gosh! I am 70 years old and I’ve been using this stuff for about 3 months now. I do see a difference on my skin but the cream like you said, it cakes up and rolls off!! I thought, “well maybe it’s old” . I haven’t finished the cream yet but when I do and buy a new one, I will have to ask if it’s a fresh batch or an old batch. Sometimes when stuff is sold at stores, they don’t keep track of what they have an how long they’ve had on the shelf. But yes! it cakes up and I don’t like it either!! I have used the No 7 protect & intense serum for over 10 years and have had good effects on my skin…I’m 60 years of age with few wrinkles. However after purchasing the lift & laminate serum I found my skin became red sore and flakey, the skin around my lips kept peeling an tingling month after I stopped using it. It caused so much damage to my skin. I used the eye cream too and my around my eyes became dry red patches. I tried going back to the protect serum after all the sore skin healed which took months, however my skin started tingling and drying out again. Why hasn’t all the reviews on this website been made more public as the affect of the skin damage was quite significant it actually burned my skin. Within an hour of using this product on my face, I was itching and broke out in hives on my face and neck, and soon after my eyes and lips started swelling. Certainly not hypoallergenic, and not how I wanted to spend my Thanksgiving! Will not recommend this to anyone- going in the trash. I am 66, and started using R&R serum and night cream for 2 months. I have noticed smoother face skin and less crepiness in the neck area. My face looks brighter. I have sensitive skin and very surprised when I read off all the breakouts, I have not experienced any allergic reactions. I like the offer Walgreens has, buy 2 get third free, and if not satisfied as with any of their cosmetics, you can return. Love the product! Im 47. I started using boots protect and perfect serum a few years back and saw amazing results within a few weeks. My skin looks much younger. I ran out and bought something else and could see a difference straight away. Needless to say I’m now using it again. I won’t buy anything else now. I’m so sorry to have to say that this product did not work for me at all! I gave it at least a yr. and a half. Using the protect and perfect Intense serum and the moisture cream daily! I’m 66yrs. old with lines around my mouth, wrinkles on my cheeks and lines on my forehead! I hate looking in the mirror and I’m very ashamed of myself! I think it’s time to search for something other than Boots No.7! I am 51 and have been using the Lift and Luminate Serum for a week and have seen dramatic results! I have used so many expensive products over the years and nothing has worked this well….my wrinkles have plumped up and are much less deep. I will try some of the other products now that I see the results. I use the serum and then the cream, all day at work ( I am a trauma nurse) people tell me how great and young I look at 52, I love No. 7 serum and creams, haven’t used anything else because I love this product! Boots products are well worth it! 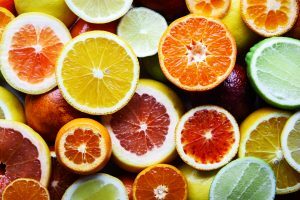 I’ve been using for years alongside my Vit C Serum. I have completed a trio that included the new Serum and totally loving the results! Disappointed with the comments about parabens and encourage a simple fact check with The American Cancer Research, FDA and countless other reputable studies. How can you possibly say this product is hypo allergenic. It has a ton of perfume in it. I an allergic to all perfumes. Usually when you see hypo allergenic it means no perfumes. Unfortunately I wasted 35 dollars on a product I can not use. I tried the No. 7, Protect & Perfect. It caused my face to get red, blotchy, and skin was flaky. I thought it was just me until I started reading some of these reviews. I actually felt guilty about returning it to the store but now that I know it has happened to others, I know that I wasn’t the only one. This product has gotten a lot of hype on shows like Dr. Oz and I was tempted to try it again but definitely won’t. Have used No 7 products for years and after all the hype about the the latest serum, purchased 3 tubes of this item but had nothing but problems with same. Skin blotchy, eyes sore and itchy flaky skin around eyes and no improvement in skin texture at all. Will now decline from buying any more of these products. I do really really love No7 protect and perfect range, always get compliments on how youthful my skin looks, have used for over 10 years now and comparing to my sister the wrinkles are not as visible. Reading through a few comments on this page about No7 using parabens, I asked a No7 advisor and yes they do use parabens, but are long-chain parabens which are the safest kind. Boots is a chemist i doubt they would use anything in their products that was cancer causing. I didn’t purchase any No7 products, I did however borrow my sister’s No7 face wash and cream products during an overnight stay. What a big mistake! The next morning I woke up with my eyes swollen shut. It took 2 days for the swelling to go away, but now my eyelids are very dry, flakey, and wrinkled. Now at day 3 after using this stuff, I noticed my cheeks are red, blotchy, hot, and bumpy. If you have sensitive skin, DO NOT BUY this brand. I did read that it contains 5 different parabens that might cause allergic reactions and allergies…parabens are also linked to cause cancer. I’m a 45 yo male, I have always been told I look much younger than I am, but I’ve still been self conscience of the line on my forehead. Since high school I’ve had creases on both sides of my forehead that have always bothered me and nothing seemed to help, and I’ve tried a lot of creams… My friend, a makeup artist told me about no7 so I gave it a try. I’ve been using it now for about 6 weeks and you can barely see any creases anymore. I had also started to see some minor crows feet and it dramatically toned them down. I would recommend this to anyone and will continue to use it and hopefully see even more results. IMO, it is a great value. My only negative is that I don’t care for the age defense cleanser, It doesn’t lather, which I know it’s not meant to, but I just don’t feel like it does the job for me so I’ve gone back to my Peter Thomas Roth. No7 may not work for everyone but it sure did for me, now my 63 yo mother has started using it and so far so good for her.. I bought the No7 Lift and Luminate Serum, Day Cream and Night Cream and used it as directed. One the third day, I woke up with swelling, red whelps and bumps on my face. It has been a week now and I still look awful. I’ve never been allergic to any face cream or makeup. I’m so sorry I bought this product. I have been using serum eye cream day and night cream religiously for two week twice every day with absolutely zero results. This stuff does not work. Plus serum runs out quickly. Anyone else having this problem? Very disappointed with the amount you get. Before I knew it….it was empty! I broke open the bottle to find a very small thimble of serum. For $30.00 it looks like about 3 cents worth of product. A BIG RIP OFF!!! Been using protect and perfect religiously for 14 years, serum eye face and night creams, spent much over the years but reaped in the advantage points too, switched to the one for over 50 and not really happy, protect and perfect without a shadow of doubt made my skin more youthful, but since using lift and luminate i have spots under my skin hence a lumpy complexion, my eyes are more heavy, my neck skin feels rough and i,m concerned i,m wasting money. all this happened after switching 3 years ago and i,m not convinced anymore. Why would woman use a product that contains almost every paraben out there, these chemicals cause problems, it’s just hype and then on top of it, they give it away on talk shows. I would never use this product since I am very much into natural health, please ladies, read the ingredients and if you don’t know what they are, ask someone who does. My experience with No. 7 Serum is very disappointing. I saw on a television program (not giving names) that this product is such a wonderful product and would get stunning results. Well then, not in my case. I used the whole container with not using too much daily but enough for good coverage,both morning and night until it was gone. I saw absolutely no results from having used it! I am very disappointed. I do not have review as I have just purchased the products today. I do have a question. I purchased, the dark spot corrector and the advanced triple serum, and the night time moisturizer, in which order should I use them ? Should I use them together or different times of the day. Do I put the dark spot corrector over or under the other creams? I’ve been using no7 intense serum and day cream for 3 yrs now. I am 54 now and get many compliments on how young my skin looks. I am going to be upgrading to the new triple serum. No.7 is the best product for my skin. A few things I’ve also learned over the years is to moisturize after cleansing, whether or not you wear makeup and dont wear thick foundations. …and no7 makeup wipes remove waterproof mascara without stinging burning or causing redness under my eyes. The company to contact is now…walgreens boots alliance. I have been using No 7 for 1 month. oh gee , my lips started swelling, I got a rash on my chin. Inside of my mouth became tingly and irritated. I went to doctor and she said I’m having an allergic reaction to something. I could not figure out what it was. My daughter told me to stop using the No 7 to see if that is what I’m allergic too. Yes, I stopped using it and my symptoms are going away! I have tried dozens of creams and serums over the years with few positive results. Since turning 60 I wanted to find something …actually anything that could improve my skin. I tried Boots 7 as it was reasonably priced and was pleasantly surprised within several weeks. I have had skin cancer and wanted a smoother texture and tone to my face. It came through with flying colors..but what I noticed most was the change in texture…smooths out the rough spots and crows feet lines. I was so taken back by the results I had, I told several other friends and they too were pleasantly surprised with the advanced serum. I think it does wonders for older skin or sun damaged skin that is rough and uneven. Never have I had such results and I spend a ton of time in the sun. I look forward to continued results. How can you ask questions about allergies if you don’t know you have any? And who consults “their primary dermatologist” before buying skin cream? I purchased the product No 7 Protect & Perfect Beauty Serum because I had read such good reviews, so disappointed! Made no difference & not only that but the bottle lasted no time, went to use it today & nothing in it, no way to get what’s left on the sides of the bottle. Not pleased at all! was so happy finally I found a product that remived those under eye shadows. I owe it to Boots no 7. I recommend that you get the rigjt level of yheir product line. 5 stars. I purchased No7 Lift & Luminate Foundation after a makeup technician tried it on me before Christmas. I liked it very much and was careful to pump just a small amount, no more than necessary, to cover my face. Was I surprised when about a month later, the pump produced nothing. No warning. The bottle looks full from the outside. No way I can figure out to remove the top and scrape out the last amount left clinging to the bottle. For the same number of ounces, other makeup has lasted 4-5 months, with the option to get more out of the bottle by turning it upside down. Is there a way to get the top off the bottle? Same thing here! I applied the eye cream one night, and then I woke up the next morning all swollen. Now, 6 days later, the swelling is mostly gone, but the skin around my eyes and nose feels like sand paper. I have never been allergic to anything before. The worst part now is that I have SEVERAL wrinkles under my eyes where before there were none. I don’t know how they are supposed to magically go away now. I wonder what we can do about a cream/product/company that says it will combat wrinkles but instead gives your some new wrinkles instead. Does anyone know of a contact email for the company? I have recently had my lift and luminaire night cream turn to a thick lumpy gel. It was near the bottom of the jar, but I’ve never had this happen before. Anyone else had a problem? I took it back to Shoppers, the only place I can buy it in Canada but they said to go to boots directly. I can’t find a contact for the company. I have used boots lift and laminate for several years and know it stops the fine lines developing, especially cheeks and around the mouth. I am generally happy with the product, but does the company not stand behind their product? I don’t find the Boots #7 expensive at all. Compared to the Walmart Oil of Olay, and Loreal productssit is so much cheaper. This blows my mind that you all think it is expensive. I love the products, except the bottle of clear liquid makeup remover that is suppose to remove waterproof mascara and liner. It doesn’t work. The towelettes DO remove makeup. It works perfectly. I love the products and they do work. The Intense night cream is good, but the day cream is a little heavy. I only use my Intense serum for the day. I DON’T care about the SPF. They can leave that out. It makes no difference to me. I’m sticking with the product and telling my friends. I barely have lines anywhere on my face and I am 61 years old. I’ve been using this product for at least 5 years or more. One more thing, I use the products on my chest and neck. No wrinkles and no dark spots. I have been using the eye cream, serum and the cream for a couple years now and I love it! I’m 48 yrs old and am told all the time I dont look it, but I have been moisturizing for years. Not to mention I stay out of the sun and am a non smoker. It isn’t a magic wand but it does help! I have been using no 7 for a couple of years. I generally stick to the lift and illuminate day cream and have always loved it However the last couple jars I have used don’t seem the same. I am disappointed. Has the formula changed?? I thought it was just me but a good friend also experienced the same thing??? I am a certified beauty consultant, and was recently in a training course for No.7 and Soap & Glory products. I’ve read through the comments and was shocked at some of the negative feedbacks. The No.7 product is an amazing product that truly DOES work but yes, it isn’t for EVERYONE. If you’ve had any allergic reactions, then the product isn’t the one at fault, there are questions that are suppose to be asked before purchasing any of the No.7 products, either consult with your primary dermatologist before purchasing new skin products, or if available, seek assistance from a employee in the beauty department of the store. 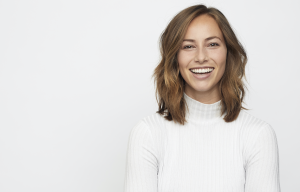 Now, if you’re seeking assistance from a employee in the beauty department, they should be asking questions of any allergies you may have, and they should be asking what you are looking to achieve from the No.7 serum product line because every serum is different and targets different areas. NEVER BUY A SKIN CARE PRODUCT WITHOUT A VISIT TO A DERMATOLOGIST. Know your body, know your skin, and then you’ll be able to find products that’ll give you the results you’re looking for. I’m SO disappointed in Boots No7 Protect & Perfect Intense Serum! I’ve been using this on my crow’s feet for about 2 weeks. I only had a few lines per eye, so I wanted to stop anymore from forming. Not only did it not work, but it literally trippled the lines!! I wish I was exaggerating! People are always shocked when I say my twins are 22 & they ALWAYS say I that I look around 35, NEVER older (I’m 42). Now, I’ve been told that I look 39 or 40! This product has aged my appearance! I know I’m in the minority with this product not working…but am I the only one to experiemce a pro-aging effect?! This better be temporary! Thank God I didn’t put this on my entire face!!! I’ve been using the No. 7 Lift and Illuminate line for about two weeks now. It is pricy, but I have used more expensive brands in the past. .. I’ve paid as much for one tube of moisturizer as I have for a whole No.7 kit! The improvement in fine lines has been AMAZING, I even notice a difference in my deep forehead lines, and in treating the beginning stages if creping on my décolletage! I’m extremely happy with this product. I highly recommend it for anyone who wants to see real results. I bought the day cream in the jar and intense serum in the tube for night Target. After a few months, my skin got dry patches and blotchy. I’ve never had such a reaction. I was disappointed as being 60+, I was looking for something to get rid of fine lines. I’m still waiting for it to clear up – and it’s been a month. So it didn’t work for me. and now I’m back to square one looking for something that does not costs an arm and leg that works. I am thinking of purchasing. However, I was wondering was it the serum that broke you out or the day cream?? I hope you had a great reunion. I just bought some of the boots No7. I have been using the meaningful beauty line for yrs. but it’s so expensive I thought I would try No7. After reading all these testimonials I’m afraid to use it. I don’t know if I should take it back or risk it and try it !!!!!!!!! I’m extremely disappointed with your products and have been using them for three months, night and day. No change in skin tone, lines or pores. My skin looks dryer and worse than before I started using Boots. The hype around the product is just that, hype! What do you use to wash your face with? All soaps and facial washes are drying my skin out. Thank you for sharing your story, and I hope you will help me out. Have a Blessed Day ~Yvette G.
I have had great luck with the Protect and Perfect eye cream, but the photofix wrinkle filler just made my face red, itchy, burning, and swollen where it was applied. I threw that away, but will continue to try some of the other products. I turned 45 in September of 2015. I started to use the no.7 intense serum and night cream in January and I have to say that it has improve my skin I’ve been told I look 35. Co workers and family has noticed something different. I was using L’Oréal daily moisturizer with SPF 15 and my face broke out. I changed to simple the regular one and no problem. But I decided to buy their SPF 15 and broke out again. I switched to No 7 when I saw it on the Wendy Williams show. I decided to purchase the intense serum & night moisturizer with no SPF and what a difference. My face is softer. I don’t even wear base anymore. I do use simple daily moisturizer with NO SPF to keep my face moist. I shared my beauty regiment with one of my Co workers and she too started to look amazing. For the ladies out there breaking out I truly believe that it’s not the product it might be the SPF 15. Some of us are highly allergic we break out, the face turns red, it itches and starts flaking. Try the night cream first and see how you do. I gave it 4 ☆ because I wish they would make a day serum with no SPF 15 like Simple does. I am 80 years old, and have been using 3 No7 products—Protect&Perfect Intense Serum, Protect&Perect Protection Intense Body Serum, and Lift & Luminate Day Cream (also Lift & luminate night Cream. I use all 3 in the morning after shower and at night before bed. IT HAS WORKED WONDERS FOR ME! I keep getting complements on how much younger my skin looks. Maybe it does not work for sensitive skin, but it has worked wonders for mine. I thought I was reading a post from myself! I too am 58 with my 40th reunion coming up in 7 days. I’m sorry you had a reaction to this product but I’m also glad to have read your review of this product so that I can avoid a similar experience prior to my reunion. I hope things have cleared up for you…no pun intended. I bought several products, intense serum, the day and night cream and foundation. I am lucky to be almost wrinkle free at 58, but wanted to start taking better care of my skin to keep it that way, plus my 40th reunion was coming up…. I wanted to look good. Well…. it did make me look younger overnight. I woke to find my face looking like I just hit puberty, bumpy little pimples everywhere, red blotches in some areas and flaky skin in other areas. I NEVER had skin problems before, not even as a teen, and now my face is a mess…. three weeks have passed and I am still all broken out….my reunion is 6 days away. I wish I had never put this stuff on my face. I tried the Restore renew Serum, the moisturiser and the spot corrector for 2 weeks. I am 61 and I have slways been told that I look younger. I have used Dior, E. Arden, Occitane, Obagi, and many other serums and I have to say i am amazed how this products worked. I agree with Amy that creams alone won’t do the work. Skin depends on muscle to get tighter and younger looking. Exercise help to produce elasticity and joint lubrication. Diet is also vital. I was skeptic and very surprised at the results no 7 products fid on my face. Still can not believe it. I have been using the No.7 Protect & Perfect Protection advanced serum and the night cream and love the way my skin feels, looks, how it applies and I find it reasonably priced. I purchased more today and apparently it has changed? They didn’t have the Advanced only the Intense, is it the same product or has something changed with the product besides the packaging? Yes, No. 7 serum contains 5 different parabens. That person who told you that was probably jealous of you. When someone makes a remark like that, you can bet they envy you for something. I would bet they are also very unhappy with their own life. I’m looking into the serums. There are so many I don’t know what to choose but I am 65 and definitely fight dry skin. Oh, I also fight adult acne. Thought I would eventually leave that behind! My husband and I started using No.7 two weeks ago, we are in love with this stuff, It makes our skin feel so refreshed and we cant wait to see the results we may have after using this for a few weeks. Will most likely keep using because of the way it makes our skin feel even if it doesn’t remove fine lines. It gets and A+ in my book. As two gay men we have to keep our faces looking their best. Bought Protect & Perfect – within days has caused severe allergic reaction. Not happy as face looks awful. Will go back to using Caudalie as has more natural ingredients. I have taken care of my skin since 6th grade when my grandmother told me to never wash my face with soap again. I haven’t and I’m now 62 with no crows feet and no nose-to-mouth lines. I have used different skincare products every single day and night. I changed to Boots 7 two years ago and LOVE it! No need to change again, and I have very sensitive skin. What facial exercise program are you using? I never heard of such a thing. Thanks much!! What a waste of money this is, does not do what its supposed to, in fact it gave me a severe allergic reaction. As per the stupid woman on the ad……….yes I was “like glowing” but that was due to my face burning and itching like mad. never again!! I have ALWAYS taken care of my skin! I am always trying different products (at least every year) I just started no7 a week ago. The restore & Protect, day and night cream. I am SO HAPPY WITH THESE PRODUCTS. I Insisted that my sister buy the products also!! I am going to buy the serum next. I REALLY WANT TO KNOW IF Paraben’s are in ANY of no7 products, before I purchase the serum????? Exactly what products did you buy? I started using two of the products as soon as I heard about it few years ago. I am allergic to everything tested for, but not this. I am seventy years old, and last month when I had to see a cardiologist for first time, he guessed my age to be fifty five. two weeks after he put stents in my heart he was still commenting on how young I looked. I purchased the intense serum and the day and night cream, used it once and my face broke out in small red bumps everywhere. I’ve NEVER had a reaction to any product I’ve ever used before. SO disappointed in this product and completely embarrassed to have to walk around looking like this (going on 3 days after using it one time and my face is still red and bumpy)…hopefully it clears up soon. Am definitely returning this. What is the difference between Lift and Luminate and Perfect and Protect lines ? You’re 24 and worried about wrinkles already? Think about what you’re saying. I have used No 7 for several years and have loved the products. My last eye cream purchases for my husband and myself, however, seem to be different in color. Additionally, my eyes broke out in the corners with dermatitis and I had to go to the dermatologist for treatment. Has the formulation changed in the eye creams – Protect and Perfect and the Intense version? I looked online at the UK site and saw that they have a pro-retinol in them which I don’t recall seeing before as I’m allergic to that. I welcome any comments. Thanks. I have been using the Lift and Luminate day and night duo for about four weeks. I can notice that some discoloration is improving and my skin feels very soft. Does anyone know the difference between the Lift and Luminate and the Protect and Preserve lines? Hi Dotty. I have never commented on any website before, but your comments have inspired me to share what has happened with me. I’ll be 52 in a couple of days, August 16. I have been using the Boots no 7 Lift and Luminate line for about 10 weeks now and really like it as well. Prior to that I had not used anything at all. I looked terrible but was so busy with my job that I just didn’t have time to do anything about it or to even really think about it. I also had doubts that there was anything that would make a difference (short of a face lift which was not an option for me). My main issue was that I had lots of sagging skin on my face and neck. I had jowls, turkey neck, no jawline, droopy eyes and my lips were droopy/thin line. My skin looked unhealthy as well and makeup did nothing to hide it. So… what I did was avoid mirrors. Well, my daughter got engaged and her wedding will be in May 2015. Over the summer break (I’m a math teacher) it started to dawn on me that there would be lots of pictures, so I started to panic. I looked at all of the procedures that could be done, but too expensive. After hours and hours of internet research I decided to try the Boots no 7 line. It was within my budget and there was a new Ulta store that just opened that was 5 minutes from my house. The other thing that I decided to do was to try facial exercises because, like I mentioned above, my big problem was sagging skin. To my surprise the combination of the Boots no 7 and the facial exercises has really worked. I’ve been using the Boots no 7 for ten weeks and have been doing the facial exercises for 7 weeks (the facial exercise program that I selected goes for 12 weeks and then you just do maintenance after that). My husband, daughter and twin sister, after laughing at me at first, have now admitted that it is really working. My twin sister said that I now look 10 years younger her. I know that I still have a ways to go but I’m hoping that by the time of the wedding that I feel like at least I’ve done all I can do to look my best. Thank you dotty! Hi ! I have been using the Boots no.7 line now for a couple of years and I love it! It works great and I am happy ! I have used a high brand name company in the past but I find the no. 7 brand very affordable and it work ! Love Love Love it ! Kindly advise me where Boots no 7 products can be purchased in Johannesburg, South Africa, thank you! Best products on the market! I have tried several high end lines with little results. I experienced amazing service from a Beauty Advisor in Target here in CT. She listened to everything I told her about my skin and put together a regime fit for me. I recently picked up No7 Men’s in Walgreens for a few of my friends as gifts and they absolutely love the Ultra Calm shaving cream. Highly recommended! 5 stars! Hi, My name is Maureen. I am 70 years old. It seems my whole life I have been plagued with dark circles under my eyes. I have spent tons of bucks on everything that reviews said worked, with no real difference. This week, I was at Target, had not read any reviews, but had seen one of #7 products talked about on TV, so I drafted over to check it out. Wow, there were many. I ended up picking up #7 Restore & Renew Restaure Eye Cream. This in 2 days, morning and night has not only lighten under my eyes, but the deep set line under the dark circles is almost gone. For me, I look like I had a eye lift and my circles were almost gone. . I purchased No. 7 Men. On the package it says “Reduces signs of fatigue fast”. Really? I have been using this product twice a day for a month and the bags and dark circles are still under my eyes. The fast fatigue reduction has not happened. I followed the directions and cleanse before each use. I do like the roll on aspect but otherwise it has done nothing. I bought the No 7 intense day creme and intense serum and I loved it and thought right on this is for me, but 3 days later I broke out with bad hives on my neck and my face. This has never happened to me before. I haven’t worn make up in years. My skin reacts badly and halfway through the day it looks terrible. The gal at Walgreen’s recommended Boots and told me right off that I could return it if I didn’t like it. I am thrilled. I can wear make up again and it looks good all day long. I love the way my skin feels and I get compliments. Will never, ever use another product except Boots. Ordered a swag of beauty products (well at least 3 which is a lot for me..) from Amazon after reading about anti-aging products in Good Houskeeping, including Boots no 7 Lift and Luminate Night Cream. The first couple of times I used it my face did get a bit blotchy. But I came back to it a few months later and am completely sold. My skin is looking great and I definitely see a reduction in fine lines and wrinkles. Have been using it every night for about a month and have had no problems as with first use. I love it and would love to try other products in the range but no one here in Oz seems to stock them. I’m 52 and like anything that turns back the clock! I’ve been using Boots 7 Protect & Perfect for about 5 weeks every morning. I can’t see any visable signs of change other than softness to my skin. Are the Anti-aging creams safe for pregnant women? No where in the skin care products does it state non-comedogenic. Is it? I have been using this product for years and I love it. The best product for the price. I love the way my skin feels and looks. I use the protect and perfect line and love it!! One complaint.. here in Canada its extremely rare to find a combo pack of products. I bought one , once. I would like to see more combo packs with a great price, like the more you buy the better the price. Sara is probably right in thinking that you might be allergic to something in your Lift and Luminate cream. All Boots No. 7 products are hypo-allergenic, meaning that any ingredients known to cause an allergic reaction have been removed. However, everyone’s skin is different, and your skin may be sensitive to particular ingredients in the formula. Also, as you use soap and water to clean your skin, the rich ingredients in the cream that hydrate and protect the skin (and serve the function of anti-ageing) may have been too much for your skin! I would advise you to start by using the Soft and Soothed Gentle Cleanser by No 7 to clean the skin, followed by the Beautiful Skin Day Cream (moisturiser) to hydrate and protect. These are the basics available in the range, to kick start your skincare routine gently, before you add in anti-ageing. The cleanser also is a creamy consistency that dissolves dirt and grime but leaves your skin soft and gentle. I live in the UK, so I hope these products are available to you (if you’re in the US)! Boots in the UK has very high customer service standards, and Walgreens (their partnering company in the US) should be the same. So if you require a refund, they should do their best to make sure they get it! …and, it might be worth noting that your Lift and Luminate will last for up to 24 months once opened, so don’t throw it away just yet if you think you could get some use out of it. Using both serum7 and serum 7 lift with pleasing results. Do u need to use both serums? I’m 53 years old and purchased the day & night lift and luminate serums do to the ads on TV. Jean-Sounds like you are allergic to something in the product, even though it is hypoallergenic. Yes, return it for a refund. i have been using Boots No 7 Serum and have not found any other product that works this well. i am really pleased with results, it promises younger skin in 4 weeks, but i saw improvements after less than 1 week. will buy more from this line. I am 62 years old and also am an esthetician. I have used the intense serum and I love it. I also tried a sample of the Boots No. 7 lifting day cream and was very happy with that. I will buy that next. I have always taken care of my skin since I was 17 and look much younger than my age because of that and heredity. I will say that after using the intense serum and moisturizer I have gotten a number of compliments on my skin. Won’t go without it . Im a male and I use Boots 7 Protect & Perfect Protection and give it a 5 star ranking. I choose this product because it gets good reviews. This is the only face product I have used and I am pleased with the results thus far. love love love…Boots no 7 protect and perfect has worked so well for me…unlike any other skin care regiment that i have ever had. in fact, i liked their skin care line so much, i decided to give so of their cosmetic line a try. photo fix primer is the abosulte best primer that i have ever used, and i will never use any other foundation after wearing their matte foundation. perfect…and the compliments just keep pouring in. I saw Boots 7 Wrinkle Cream on the television last year but could not find it anywhere in Atlanta. Yesterday I saw it in my drug store and was going to buy it but there were many products in the range and nobody could help me. This is why I am here to ask what the best product in the range is for women with wrinkles around the lips? I used Boots No 7 wrinkle cream, and I liked it. I have been using it for the last 5 months and I can see some minor improvement in my skin tone. It smells pleasant and absorbs nicely. No oily residue. I hate product that leave an oily texture behind. I much prefer having a matt look. I tried boots no 7 protect and perfects. Boots is a genius marketer but their products are crap. Very disappointed. At least the price wasn’t overly expensive. I am in my 50’s and have been using Boots No 7 Protect & Perfect Intense Beauty Serum since it was first launched in the US. I really like this product and it has really given me more even toned skin. I use it on my face, hands and chest at night. Thanks Boots for developing a great! I am 24 and and have some fine lines and wrinkles but look like any other 24 year old girl. Boots no 7 took it from nice to fantastic! And the price is okay so I can continue to use it. When I use Boots No 7 my skin feels very hydrated and without it I am itchy. Especially when I come out of the shower. My husband would always tell me my face looks dry and to drink some water but ever since I started the Boots moisturizer he has not said such a stupid thing once. you can almost hear my skin go Ahhhhh! Boots No 7 has been my secret for years because I lived in the UK for two years. I was buying the products online from Amazon so I was happy to see that I could now buy this wonder cream in the US. It is not much cheaper in the UK, they are charging pounds and the pound is higher than our dollar. What is the best online store to buy Boots No 7? I heard the bbc report and it looks scientific so I am going to give it a try. I am just upset the product is much cheaper in the UK.